Richard.. A beautiful story. Thank you. Does the Catholic Workers organization still exist today and in what form if it does? Or are they all working for hedge funds as others are? For information on the Catholic Worker movement’s present status, see http://www.catholicworker.org/. I am archivist for the Dorothy Day-Catholic Worker Collection at Marquette University. Inquiries are welcome. Thank you Phil.I visited the link you provided and it is so heartening to see that this work still goes on all over the country. It shows that a generous heart never dies. Though I am far from well-informed on this individual’s life story, I can make these observations: 1.) Ms. Day may have designated herself “a practicing Catholic,” but she was obviously way outside the “approved/acceptable” philosophy and practice of the Vatican hierarchy; 2.) a note on terminology: Marxism is a method of analysis of the relations within human society; Socialism is a proposed method for governing society with equanimity that has never been given a chance to spread its wings in a hostile Capitalist world. A proper Socialist government would be officially secular–as the U.S.A. was meant to be by its “Founding Fathers”!–but would tolerate individuals pursuing whatever spiritual practice appeals to them. It would suppress only organized activity perpetrated in the name of “religion” that tried to impede the functioning of government in the interests of the masses. Doubtless Ms. Day, like 99.99999% of the U.S. population, was ignorant of these matters and that pleased the Ruling Class no end. How little things have changed in the century since Ms. Day was growing up! 1.) Ms. Day did not follow the Vatican hierarchy. She followed the Christiam gospels as a Catholic. 2.) Ms. Day was not “ignorant” of Marxism or Socialism. She was sympathetic to both, but did not agree with all their tenets. She believed in Christian anarchism and Personalism. She had many friends who were Socialists or Communists. Michael Harrington, one of the most prominent American socialists, was one of her editors at the Catholic Worker. Mike Gold and Max Eastman, editors of the Communist Daily Worker, were her personal friends. CORRECTION: Max Eastman was editor of the Masses, not the Daily Worker. For information on the present status of the Catholic Worker movement, see http://www.catholicworker.org/. I serve as archivist for the Dorothy Day-Catholic Worker Collection at Marquette University (http://www.marquette.edu/library/archives/day.shtml). Inquiries are welcome. I strongly agree with the first sentence. As for sentence two: maybe in time human evolution will result in societies which tolerate only altruistic benevolent behavior; maybe in an even more lengthy period human evolution will transcend gene expression resulting in hatred, greed, lust, shame, envy, and all other negative emotions/thoughts which underpin flawed hierarchical structure destined to result in hoarding of too much by a few, unnecessary deprivation by the many, and a to date endless violent anti-social behavior loop as a result of this imbalance. There can never be overmuch challenge to greed any time, and never more so in the USA and everywhere else on planet home right now. Greed run rampant on the present scale literally imminently threatens the future of life on Earth. 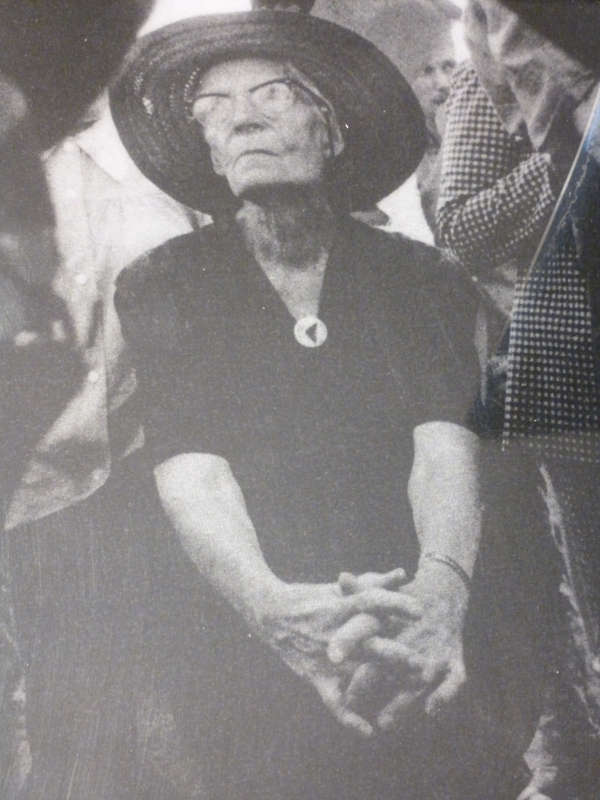 Overcoming acceptance of this, according to Dorothy Day, rotten system, can only occur when the specific negative aspects become widely articulated and acknowledged, then reasoned arguments for more positive, feasible, solutions-focused alternatives become simultaneously articulated and acknowledged. There is no reason to believe that acceptance of particular immoral aspects of the filthy system cannot be rejected in this time period/generation, or that such good societal transformation will only occur in the future, or “not in our lifetime”. Depending upon one’s spiritual perceptions concerning reincarnation, and looking soberly at people’s living conditions around the world, one’s only conclusion is that the best time for transformation is now.